Christine Hunt, Wellness Coach, Certified EFT and Matrix Reimprinting Practitioner, hereafter known as “The Coach”, is not a licensed medical professional. The EFT methods and information that The Coach shares on this website (articles, blogs, programs, videos, audios, other written material) and information shared during her coaching and consultation sessions are for educational and self-improvement purposes and no guarantees of outcomes are implied. Anyone who reads, listens to or views anything on this website are hereafter known as “Visitors”. The information on this website or outside links is of a general nature only and may not be used to treat or diagnose any particular disease, health or mental health condition or any particular person. Visitors and clients are encouraged to seek the advice or supervision of a medical professional or qualified therapist before utilizing EFT or anything on this website. The ideas, procedures and suggestions on this website are not intended as a substitute for consultation with Visitor’s professional health or mental health care provider. If Visitors have any question about whether or not to use EFT or any information in written, audio or video form on this website, Visitors should consult with their physician or licensed mental health practitioner. 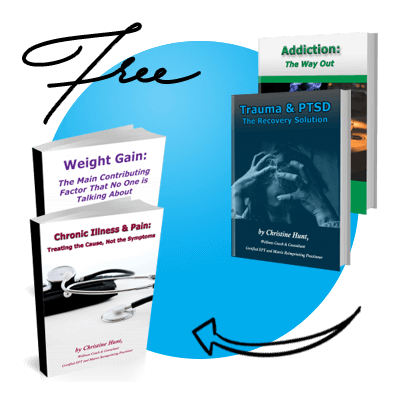 The Coach does not assume responsibility for how Visitors and clients choose to use EFT or any of the ideas, techniques, suggestions, advice, food, recipes, herbs, supplements, beverages and any and all information or recommendations herein or from outside links. Reading, viewing, listening to, downloading, using or implementing anything on this site does not constitute advice, services or a professional relationship with The Coach and the Visitor’s use of them will in no way hold The Coach liable. EFT consultations assume the potential client is of sound mind and body and said consultations are not for diagnosing, treating or preventing medical or psychological conditions.